Domonic Brown signed a minor league deal with the Rockies, looking to revive his promising career in the Mile High City. 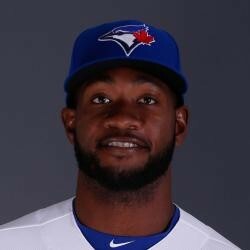 Brown was cut by the Phillies in 2015 and had a .639 OPS with Triple-A Buffalo (Toronto) in 2016. He had an ,818 OPS in an All-Star season in 2013. Domonic Brown was the #4 prospect in 2011 and hit 23 home runs in the first half of the 2013 season; he only finished the season with 27 home runs and has fallen off of the baseball grid since that point. Brown struck out 127 times in 204 games with the Phillies from 2014-2015, posting a .634 OPS and playing only 63 games in 2015. The Rockies have a crowded outfield with Carlos Gonzalez, Gerardo Parra, Raimel Tapia, and David Dahl fighting for two corner OF spots, so Brown is a pinch-hitter at best.